Can re-wilding help the planet? 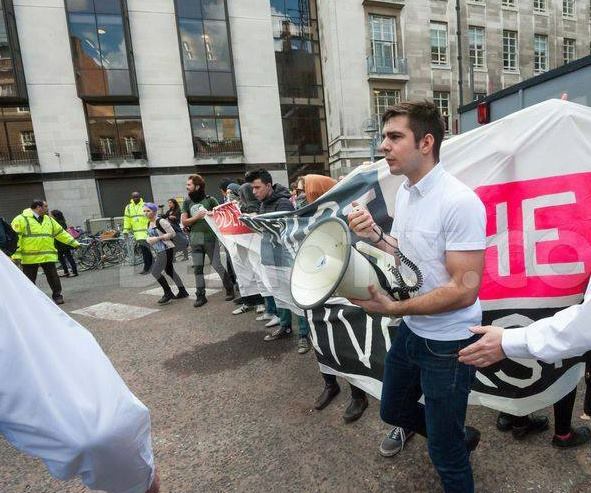 After 11 December "Cops off campus" protests, what next for the student fightback? No to physical attacks on the SWP! Criticise the SWP, don't physically attack them! Another split in "The Party"? Mass demonstrations in Ukraine have demanded closer links with Europe, and an end to the government’s pursuit of a “strategic partnership” with Russia. The Independent Parliamentary Standards Authority has recommended a pay rise of 11% for MPs. Embarrassed, and keenly aware about how their position looks to a public reeling from job losses and wage cuts, many MPs have declared that their proposed pay rise is wrong. However, business leaders have loudly supported the pay rise. “If we are to attract talent into parliament, MPs should be paid a comparable amount to other professionals,” said Ocado chairman Sir Stuart Rose. The RMT is planning an extensive political campaign to accompany its industrial battle to stop job cuts and ticket office closures on London Underground. The University of London Union (ULU), which represents students at a number of London colleges, hosted a public planning meeting for supporters of the “Every Job Matters” campaign on Tuesday 10 December. The ballot for strikes and action-short-of-strikes closes on January 10, with action due the following week if the ballot returns the expected yes vote. 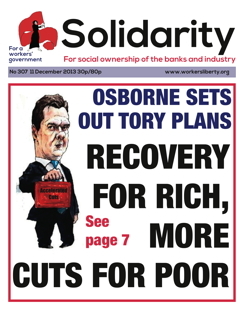 Over 50 trade union activists attended Workers’ Liberty “Marxism at Work” dayschool on Saturday 7 December. The school, featuring both discussion-focused and more interactive workshops, was based on a six-part AWL educational series about Marxism and trade unionism, and included sessions on “our fantasy trade union”, the Marxist critique of current trade unions, understanding the bureaucracy, historical examples of the rank and file in action, and the role of Marxists in the workplace. If you grew up in radical politics in the 1980s, anti-apartheid activism was ubiquitous — a reference point, an inspiration, and an accessible vehicle for campaigning. Demonstrating outside the South African embassy, attending cultural and political meetings and demanding freedom for Nelson Mandela were rites of passage across the spectrum of the left. Dig down a few metres beneath the fountains in Trafalgar Square and you will find the remains of elephants, lions and hippopotami. These giant beasts grazed, stalked and wallowed through British rainforests just over 100,000 years ago. In evolutionary time this is the blink of an eye and George Monbiot, in his new book Feral, makes a powerful argument for their (eventual) reintroduction. Policing has inevitably been an issue whenever student struggles have reached a certain pitch of struggle. In many cases, heavy-handed policing has provided a spark to the movement.